The ‘Symphony’ yacht arrived this morning in Funchal. 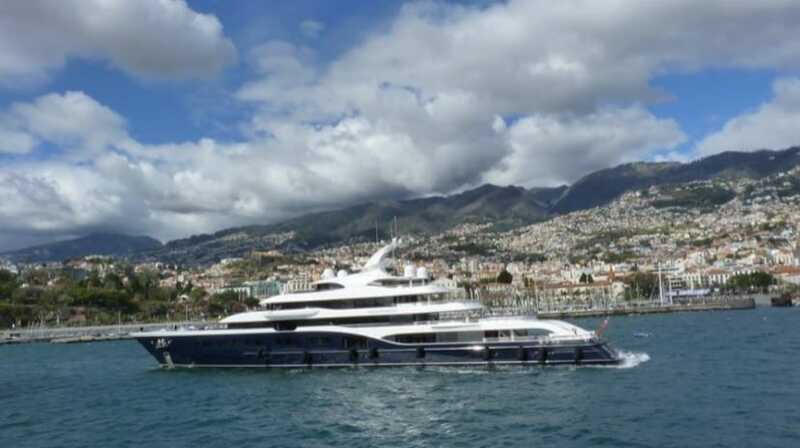 It has capacity for 36 passengers and an estimated value of 130 million euros. This is the largest yacht ever built in the Netherlands, being 101.5 meters long and 14 meters wide. Belongs to Bernard Arnault, one of the richest men in the world, owner of the French holding company specializing in luxury goods LVMH Moët Hennessy Louis Vuitton. Onboard ‘Symphony’ can be found a six-meter swimming pool, 12 Jacuzzis, elevator and even a heliport. The vessel arrived at the southern pier of Funchal Port about two hours ago, coming from Philipsburg, and will have Amsterdam as a destination point, to which leaves at 5 pm today.